Lake Tahoe, known for it’s famous dark blue waters, and world class skiing, makes this lake one of the top most popular destinations in the United States. Visitors from all over come to Lake Tahoe to experience the multiple activities that this lake has to offer in all seasons. Skiing, hiking, boating, shopping, camping, the list goes on and on, but what if it was interest to you to be able to experience all seasons and liveliness Lake Tahoe has to offer. 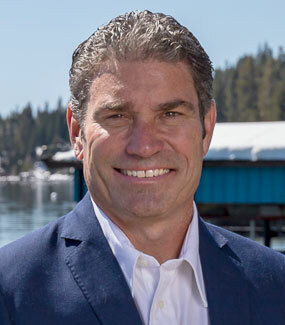 Whether your’e considering to be a year round Lake Tahoe Home owner or seeking to invest in a second home, it’s easy to find information about the lake, but how do you find information on how to take the next step into your future Lake Tahoe Property. Scouting the market for the right Lake Tahoe real estate, is one piece of your journey, but what about finding the right mortgage rate. Mortgage rates adjust everyday. As of March 2nd, 2016, Lake Tahoe’s mortgage currently rates vary from 4.12 percent to 4.54 percent depending on your lender. Banks also typically allow a total debt-to-income ratio of up to around 36 percent. When you assimilate your loan it is best to decide which rate is right for you. Look into different loans, see if the rates offer a fixed rate mortgage, or or an adjustable mortgage. Understand how many years your loan may be and how the interest rate can change in each option. A fixed rate is the most common mortgages available. The mortgage rate and the monthly payment stay the same for the entire life of the mortgage loan. Adjustable mortgages have a fixed mortgage rate for a certain number of years and then the mortgage rate adjusts every year after the initial period. There are usually a ratio of how much the mortgage interest rate can fluctuate. Your monthly mortgage payment can rise if general mortgage rates rise as well. For instance a 5/1 ARM generally refers to an adjustable rate mortgage with an interest rate that is fixed for 5 years and that adjusts annually after that. So say we are at a 5/1 ARM for $250,000 with a starting interest rate of 6.75%. It has a 2% cap on each adjustment. It has no floor rate and a lifetime maximum interest rate of 11.75%. The index and margin are 5.2% and 1.55% respectively. Interest only mortgages (IO), are mortgages that the borrower pays only the interest on the principal balance or a set period of time. After the initial period the mortgagee pays both interest and principal. An example would be, if a 30-year loan of $100,000 at 6.25% is interest only, the required payment is $520.83. In borrowers who have the same mortgage but without an IO option, would have to pay $615.72. This is the payment that would pay off the loan over the term if the rate stayed the same. The difference in payment of $94.88 is “principal”, which reduces the balance. It is important to know if you’re qualified and comfortably know the levels of leverage you will have throughout your mortgage loan. Interest rates are still low based on the past 20 years. Now is a great time to take advantage of such low interest rates. If buying your Lake Tahoe property has ever been in interest to you, now is the time buy. Vacation home or a full time home, we have the home for you! If you would like to know more about Lake Tahoe properties, please contact Kelly Smith at kel@ltol.com or call 800-892-8821.